Princess Brittany, eldest daughter of King Alteon and heir to the throne of Swordhaven is holding a Tournament of Heroes and the winner earn the right to court the lovely young princess. Who will win the right to Princess Brittany's hand? Will it be the Desert Prince, The Silver Knight, The dashing Lord Brentan, The frigid Johan Wryce, the mysterious hooded Faceless Knight, the viscious Sir Roderick or one of the red-shirt knights who get taken out in the first cutscene? This special Heroes Heart Day release features the second appearance of the music of Mia J. Park! It also features an amazing number of items in both the Tournament Rare shop and the Tournament Shop! Solrac has provided one last set to round off this run of Quibble. The Split Fang set! An impressive caster armor provided to a elite group of magi within Xavier's arm of the Golden Onslaught. 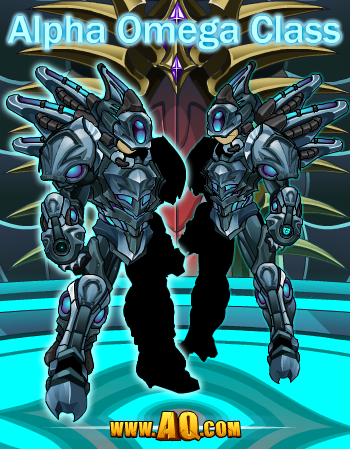 The EpicDuel imspired Alpha Omega class also drops tonight! This class is only 1000 ACs (half price!) or Members can earn it through group PvP (some of the set items can be earned through 1v1 PvP too). 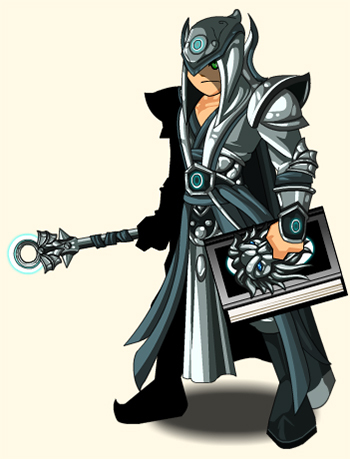 You will be able to buy the AC version from Ragnar's Class Shop (Or the Classes button in your Book of Lore) or get the Member earned version from Ragnar's Merge Shop. This class will NOT be going rare, so you have plenty of time to earn the Member version. If you want to know more about how it works check out my Alpha Omega Skills Breakdown. Chinese New Year and Carnaval are still here! Terra da Festa is a permenant addition to the game but the rare shop and Chinese New year will be leaving very soon so don't miss out on the celebration items that you like! BONUS CONTENT: I probably made some typos in this DNs post. Have fun finding them. OR ELSE! For the love of Love! My most favorite Pink-a-licious holiday arrives tomorrow: Heroes Heart Day! And with it comes SUPER adorable Chibi Valentine’s Day cards to give to your friends, family, battle puppies, and secret admirers. Everyone’s favorite archfiend Nulgath teamed up with the extreme lunchlady Oishii to create these chibi character cards just for you! 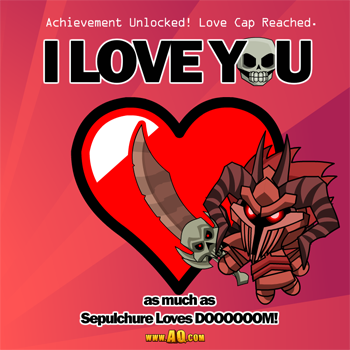 Spread the love (and doom!) 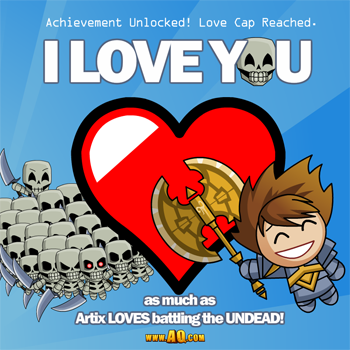 this Heroes Heart Day with the collection of AQWorlds Valentine’s Day Cards. Get the full sized images on the AdventureQuest Worlds Facebook page! Ooooohhh they are all so precious!! Which one is your favorite? …all of them, you say?! I TOTALLY AGREE! Loads Of Stuff Coming This Week! Here's a quick table of contents of this Design Notes post so you can skip to the bits that interest you. Old Heroes' Heart Day Returns! New Dage Quests In Shadowfall! I CAN HAS MOD Winner Selection today! MEMBER PERK: Bonus Member Items for AC packages! MEMBER PERK: Reserve your AQ3D Character Name! So let's get down to it! Have A Little More Faith! Fishing, AQW's first trade skill is coming this Friday! It will be the first of several trade skills, including but not limited to fishing, alchemy and blacksmithing and eventually you will use your trade skills to help build up your Guild Town! Fishing might also have other uses if we continue to add trade skills like Cooking! But let's not get ahead of ourselves. Let's go FISHING with FAITH! You may know Faith as the head of HeroMart but what you may not know is that she is a fishing FIEND in real life! She was the perfect NPC to help you when your line gets tangled. You will be able to unlock TONS of different fishing Ranks, special items and even get an aquarium for your house where you can display your latest catches! You will be able to use a regular fishing pole, special member only SUPER POLE that will let you catch up to 3 fish at a time or barrels of HIGH EXPLOSIVES which will make it RAIN fish down around you (the TNT is basicly the AC shortcut since it can't miss but each barrel only costs 8 ACs each)! As I mentioned, Fishing will become a very handy skill in the future but this Friday it will just be a nice relaxing diversion (like fishing is in real life). It will give you a chance to build up your skill ranks, unlock some of the new items that you can only get from the fishing trade skill and enjoy the music and scenery. Now that you have played through the Love's Eternal Curse Special Event (The event is staying in the game except for the Event Rares Shop which is leaving next Monday), you may be asking yourself where Big Daddy, the Godfather of Love and his LOVE map are this year. Never fear, Baby! The LOVE map with the Heroes' Heart Day Adventures along with the return of some of your favorite pink (and blue... and other colors) seasonal rares will be reintroduced to AQW this Friday! Don't Be Sad, It's CARNAVAL! Many of you already know what Carnaval (not to be confused with a carnival) is but for those of you who don't it's a HUGE celebration. It's celebrated in several countries but in Brazil it's something truly spectacular. Most of the country grinds to a halt just to have this party-to-end-all-parties that continues both day and night for an ENTIRE WEEK! There are parades, dancing, food and CRAZY costumes in every corner of the country as every city and town try and out-party each other. It's kind of like Dragoncon if it went on for a week and had 5 million people attending. This Friday AQW will be joining in the festivities with our first CARNAVAL shop which will contain special items and costumes just for just for Carnaval! New Dage The Evil Quests Coming Friday! Now that the portal to the Underworld has been opened (in last week's event) Dage The Evil will be adding several new repeatable quests to his NPC sending you there. The quests won't be any easier but they will give you more options to collect Legion Tokens to buy items from his insane merge shop! I CAN HAS DELUXE WINNER!? Today is the day. A e-mail has been sent to the new I CAN HAS MOD WINNER! Winner, you have one week to check your e-mail and get back to us or we will continue down the list! 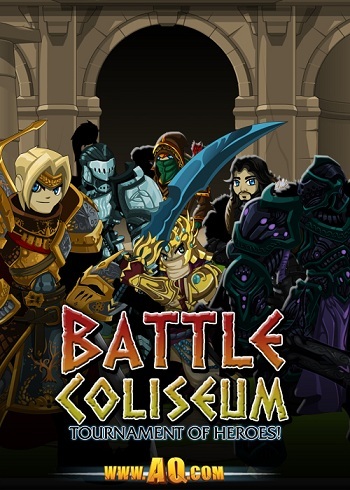 Make sure that you check the e-mail that you have provided for your AQw account to see if you have won! Of course, we won't announce the winner until we've had contact with them, but as son as we hear back from them (unless they don't want to be known) then we will let you guys know the name of the winner! There were 233,892 people who entered the contest this time which is more than DOUBLE the number of people who entered last time. REMEMBER: HOLD ON TO YOUR CHEEZBURGER (Inventory or bank, it matters not)! Last time the Cheezburger was wished into the Darkside Class. Who knows what it will become this time, if anything! Good luck! There is only 1 winner and 233,891 non-winners (you guys aren't losers) so if you're a non-winner THIS time, then there is always next time! In our continuing effort to give the Members more in 2012, we have decided to add Member Bonus Items to the existing AC Packages starting Friday. The AC packages will be exactly the same as they always have been. They will cost the same and you will still get exactly the same amount of ACs with each of the three largest packages but NOW they will also unlock achievements in your Book of Lore that will open shops which will give you different Member Only Bonus Items depending on which AC Package you got. 2,000 AC Package: This package will now unlock the badge and shop that will give you the Battle Wyvern. This is a MEMBER ONLY Battle Pet! 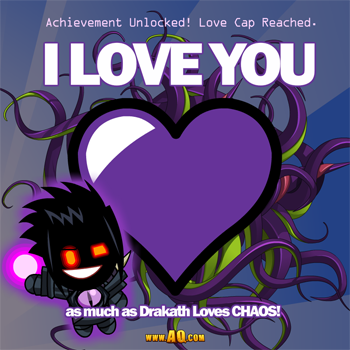 12,000 AC Package: This package will now unlock the badge and shop that will give you the MindBreaker Member Only Class! This bonus class is a balanced warrior of the mind. 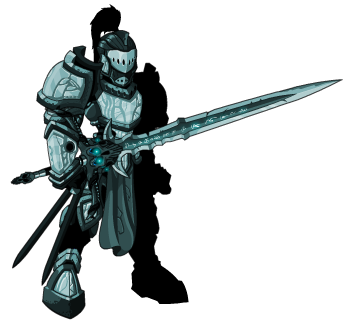 Special animations have been added to this psychic warrior class. You will be able to unlock these badges and items contained within when you purchase these AC packages through our site or by using Artix points on the Portal Site. These bonuses will be permanent additions to the game and EVERYONE will unlock these badges, so if you don't can't become a member right now, these items will be waiting for you when you decide to upgrade or re-up. Each of these items will cost 0AC for free storage. These are NOT collective and do NOT stack. EACH Package unlocks it's own shop, but to get all of the items you will need to have bought all three of them packages. This offer is ALSO retroactive for 6 weeks from this Friday! If you have purchased one or more of these packages in the last 6 weeks (from Friday) then you will already have these badges and items unlocked for you. Our game project with the working title AQ3D is progressing and we have decided that it's time to allow Members (both present and past) to reserve their character names for this game! If you are currently supporting or have EVER supported AQW (or any of our other games) with a Membership, you will be able to reserve your name for AQ3D! IMPORTANT! In order to do this you need your AQW account connected to your Master Account! Like EpicDuel, HeroSmash and Pony Vs. Pony, you will log into this NEW game with your Master Account info. If your AQW account isn't connected to your Master Account then YOU WILL NOT BE ABLE TO RESERVE YOUR NAME! If you have not yet created a Master Account, Do so by CLICKING HERE! It's also important to note that this is NOT Alpha Testing. We are still miles and miles away from having something playable for you guys to test. This is ONLY to camp your name before someone else can get it! We are aiming for Thursday Night but you never know what could go wrong between here and there. 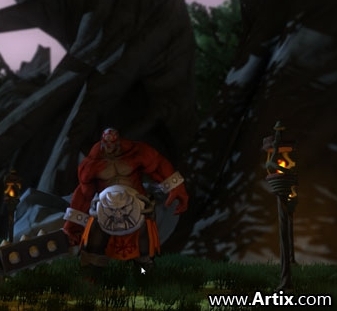 You will go to ARTIX.COM and we will have opened the Character Name Reservation Page! If there is a change in schedule we will announce it here. The Punt map and Halftime Shop have left fot another year. Tomorrow Lady Azjurai will be leaving Battleon and taking all of her special wedding gear with her (presumably on her honeymoon. Gratz again Lady Az!). 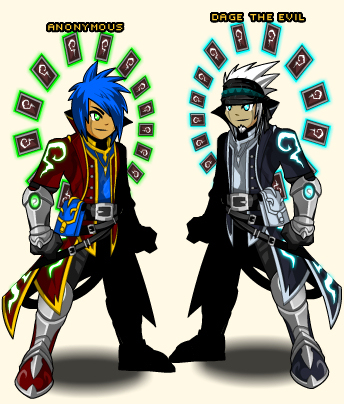 Lastly Quibble and Loves Curse Event Rares shop will both be leaving together next Monday! Today is February 6th. That means that the Friday the 13th House and Event Rare Shops will be going rare and that the Akiba New Year event will be leaving as well and taking with it all the great seasonal items and rares (like the non-member AC pet) with it. Lady Azjurai is getting married tomorrow! If you weren't aware, Lady Az is a Mod on AQW but started out years ago as a player just like you, she was asked to help out on the forums then eventually moved to full AQW Mod and we count ourselves lucky for all the help and pre-release testing that she has been able to provide. Finding love is a rare and wonderful thing and very often you want to share you feelings and celebrate with those who mean the most to you. In this case, she had decided that she wants to share her happy day with all of us in the AQW community. Later tonight (or tomorrow at the very latest), you will be able to find Lady Azjurai in Battleon and she will be offering to share some items with you. The Ruby Eternal Flame, Romantic Raccoon Helm (She has a thing for raccoons) and the Evil Toaster of Love. I'm told that this was the first appliance that the two love-birds purchased as a couple and has given them nothing but grief since they plugged it in. It seems to actually have an evil face on it and it will burn the toast no matter what setting you put it on. Lady A and her bethrothed have many fond memories of running around their place, fanning toast smoke out of the window and laughing together. Lady Az, we could not be more happy for you. Thanks for sharing your happy day with us and we all wish you guys the very best that life has to offer. Gratz! I CAN HAS MOD Round 3! It's been a while since we've mentioned it so this is just a wee reminder that the next I CAN HAS MOD winner will be selected on February 13th. 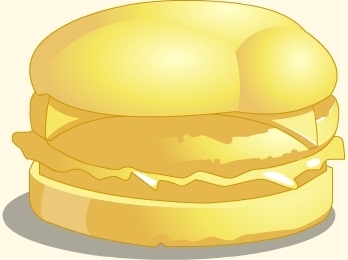 To enter the drawing all you have to do is get the Golden Cheezburger Deluxe from Cleric Joy in Battleon. That gives you one chance to win. Every months of AQW Membership left on your account on the date of the drawing and every AEXTRA that you complete will also increase your chances by one more entry. Here is the FULL CONTEST PAGE if you have more questions. REAL LIFE Limited Quantity Shop! 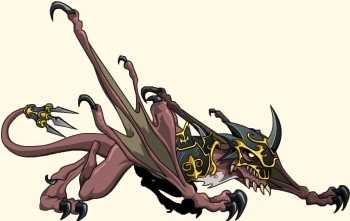 2012 is already in full swing, and pretty much everyone who wanted the ChronoCorruptor Class that comes with the 2012 AQW Calendar now has it, but I keep getting asked if this class is going rare. Going RARE, one calendar at a time! The short answer is that YES, it is going rare. We only have a few hundred 2012 Calendars left in HeroMart, and there are still a few floating around the US Toys R Us stores, but that's it. We can't possibly print an infinite amount of calendars so, no matter what, there will only ever be a limited number of these classes in AQW. Heroes Heart Day Is Coming Friday! 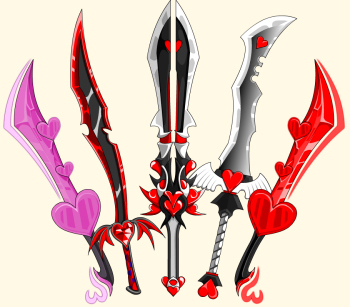 AQW's Valentine's Day Event, Heroes Heart Day, is coming so expect to be burried under a wave of pink hearts, thorny roses and chocolate with confusing cream centers. This Heroes Heart Day we are going all out with special Musical Guest Mia J. Park so sadly there will be no time for a Mid-Week Release this week but you can expect this event to blow our previous Heroes Heart Day adventures out of the water. Sorry folks, we seem to be experiencing some techincal difficulties. 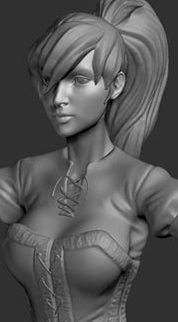 We'll check back in with Artix in tomorrow's Design Notes for that Special Report. See you then! Babies and Weddings for everyone! Happy Heroes Heart Day, guys! It's really good to be back. If you weren't aware I've been gone for the last 2 weeks. On February 2nd at 7:50 AM server time, my second (and final) son was born. We named him Jetson. Since Jet's birth I've been at home helping my wonderful wife as much as I can and helping Jack get used to having a new family member, and generally being a very attentive husband and father. My first son, Jack is now a big brother. He's got a 13 month head start but i'm sure that he'll teach Jet everything he needs to know about being my kid like: Which buttons to never press, Where daddy keeps his secret stash of socks, Which of his parents knees are the tastiest to chew on, How to sense when Mom and Dad have just drifted off to sleep so he can wake up and start fussing, How to eat, drink, spit-up, burp, fart, poop, pee and cry all at the same time, and many other fun talents. For those of you following me on Twitter, Nursey and I were completely blown away by the number of very nice messages flooding in washing over my happy family, blanketing us all in good vibes. You're all far too kind, but I humbly accept those kind wishes and pass them on to my family. Thank you. We'll have more details on that special event as we get closer to it, but for now please join me in saying a big GRATS to our favorite snarky half-dragon! But Wait... There's STILL More! We just found out today that AQW/HS super coder Llussion just asked his long-time girlfriend to marry him and she said YES! No date has been set and we may or may not have an in-game event but we're all VERY happy for those two crazy kids. Llussion has saved my bacon more times than I can count so I'm going to have to build him a truly excellent wedding present. Very soon we will be releasing our Artix Entertainment Battle Cards card game, which comes with the exclusive in-game CLASS, CardClasher! We had to change the name from CardCaster to CardClasher due to an unforseen copyright issue with another game. The Class will be for everyone who purchases the card game, but we also plan on releasing a Member-Only CardClahser area to give you some backstory on what a CardClasher is and provide the AQW Members with some additional content to really trick out their Class. There is still no set release date for the card game but we WILL be selling them on HeroMart, which currently delivers to 57 countries and we are adding more ALL THE TIME! Is your country on the list? As soon as we have a fixed release date for the card game and Class, I will let you guys know. This Friday we will be continuing the Sandsea Saga we you and Zhoom head to the Sek-Duat Dynasty Pyramids to track down the immortal mummy, Sek-Duat. It will also feature a brand new mini-game and lots of new Sandsea gear, both in the release AND in the Sandsea Rep Shop. Don't forget that the Chinese New year event will be leaving this Friday, as well as most of the Heroes Heart Day content and rares. 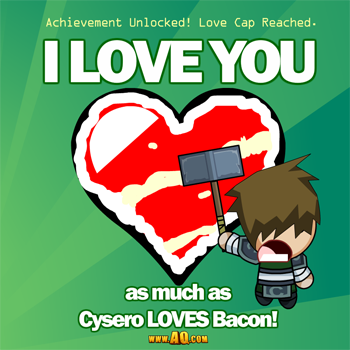 The Heroes Heart Day Limited Time shop will be closing tomorrow at NOON, server time. I've also heard a rumor that Black Market vendor will be returning on Friday. The GAMETASTIC challenge is over and we have a handful of great new mini-games which you can find HERE. A winner will be decided soon and Artix will announce the winner here on the Design Notes. As I was out, and on none of the design teams I will be a fair and impartial judge who doesn't want to get fired by his Boss who i'm told has an EXCELLENT mini-game. Dumoose literally just PMd me to let me know that he will be releasing a number of new Heroes Heart Day items in HeroSmash in just a little while. 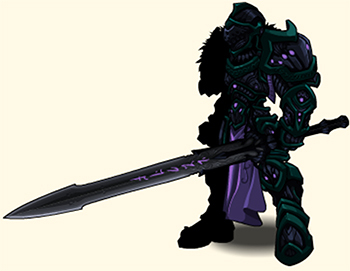 Remember, right now you can only Alpha test HeroSmash and get these items if you are an AQW Member.